As a huge fan of panoramic images, I have already tried out a few Apps which let you easily create 360° panoramas. This works really well provided nothing is moving in the picture and you have a steady hand or use a tripod. It’s really awkward when lots of people are moving around in the area which you are trying to film. Most people are probably aware of the disappointing result this causes. After debating with myself for a long time, reading test reports and looking at lots of pictures, I came to the conclusion that I simply had to have a panoramic camera. People can spend a great deal of money on these products, which would have been completely unnecessary for my purpose. Therefore, I decided to purchase the Ricoh Theta and knew it was the right choice after seeing the first few photos. At a purchase price of € 399 this camera is hardly a steal, but it is practical, fits in just about any bag, is easy to handle, has a good battery life and delivers sufficient results for its purpose. A full battery will last a day easily and Ricoh gives an approximate value of 200 photos, not taking into account an active WiFi connection. The camera can also create its own WiFi signal, which you can pair with a smartphone. The free App for iOS and Android means that the camera can be controlled remotely, simultaneously synchronizing the date, time and also GPS position if desired, and saves this for the picture. 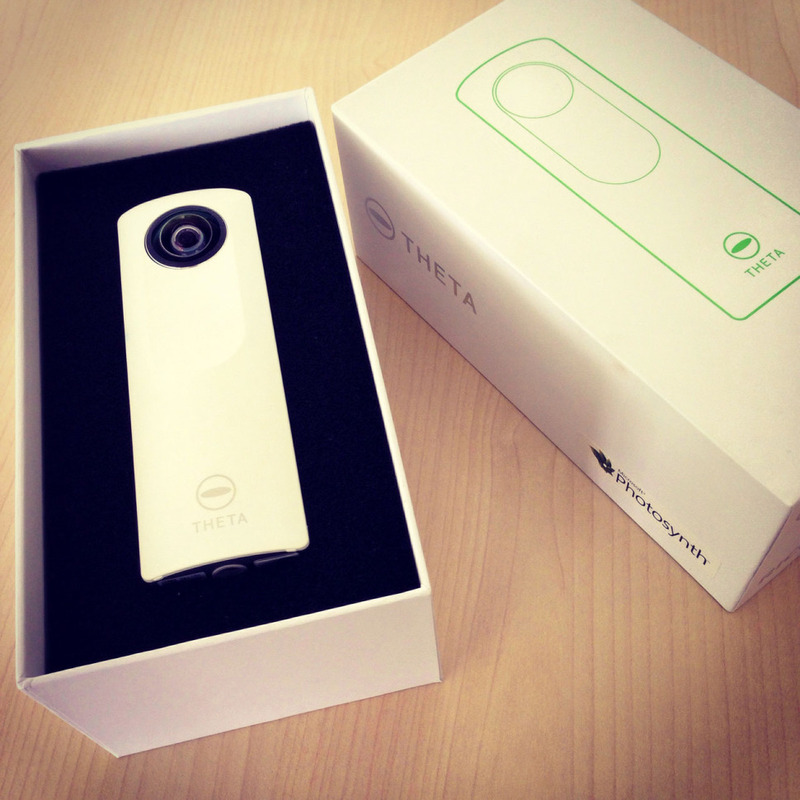 You can view the panoramic pictures on the App or upload them to the Theta360 web portal. If you share the photos from the App on Twitter, Facebook, or Tumblr, a smooth preview image is displayed, which can also look like a piece of art if the camera is handled properly. I don’t intend to share every single panoramic photo on my Facebook profile and Twitter account. Therefore, I will devote a few days to a Tumblr blog as well as a Twitter account under the name of Thetanaut, which will have a link to the photos on my Theta360 account. Since I am currently in Athens it’s definitely worth having a look at them.